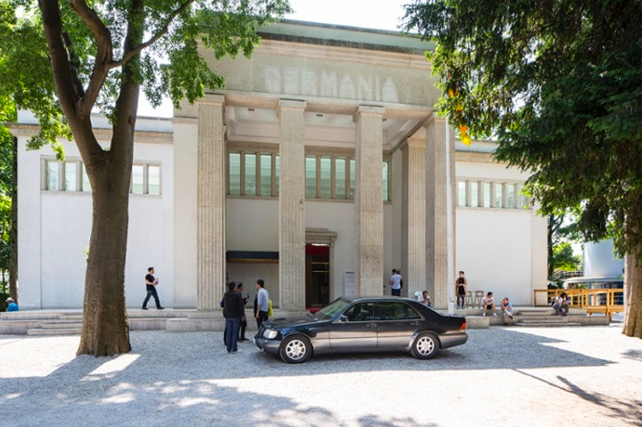 Fundamentals, Absorbing Modernity: the bricks and mortar case of the German pavilion. As everybody knows, the 14th Venice Architecture Biennale is titled “Fundamentals, absorbing Modernity 1914-2014” and invites 65 National Pavilions in the Giardini and at Arsenale to respond the theme examining the key moments from a century of modernization. 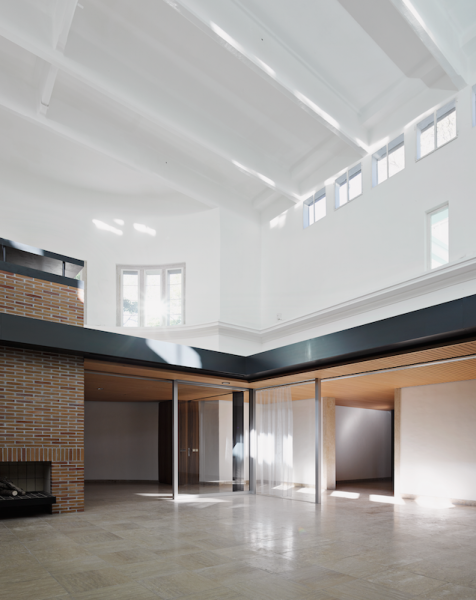 Ermesponti contributed to one of this, the German Pavilion, as a partner for the bespoke interiors of the ‘bricks and mortar’ project by the German firm Ciriacidis & Lehnerer architekten. Bungalow Germania was judged to be one of the 10 best pavilion, but, for what we as architects are concerned, is something else: we feel that it’s the most readable pavilion of the whole Bienniale. The meaning is crystal clear for everyone because it speaks the specific language of Architecture; the space in 4 dimensions. Two buildings are wedged one into each other and directly compared; the old nazi pavilion of the thirties and the Miesian glazed bungalow of the second German chancellor built in the the sixties. No need of any information map or any kind of captions to understand 100 hundred years of German history; you can make the real experience of the space and understand it by yourself! Actually you can really absorb the modernity of the Kanzler Bungalow embedded into the Padiglione Germania. The Italian humanist, architect and philosopher Leon Battista Alberti used to call it: “cognitione per comparatione” . The concept is that when you compare two things you can easily understand the differences and the similarities between them. This is also more effective about interior spaces. Adolf Loos called this approach ” raumplan”. As humans we are planned to feel the dimensions of interiors deeply inside of us. Each gap or leap gives us a certain emotion. In my opinion that’s what happens inside the German Pavilion: you can feel it and absorb it and you will never forget it. I have already forgotten who is getting the golden lion of the jury this year… but I will never forget the strong impression I got from those two buildings stuck together! Please go in Venice and give us your own opinion; we’ll be looking forward to reading you! Bungalow Germania. Deutscher Pavillon auf der 14. 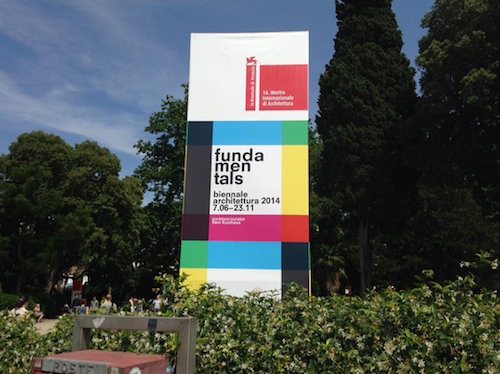 Internationalen Architektur-Ausstellung — la Biennale di Venezia, 2014. Bungalow Germania. Pavilion of Germany at the 14th International Architecture Exhibition — la Biennale di Venezia, 2014. Previous PostInteriors and Architecture? It’s complicated. Thoughts after the Alberto Campo Baeza lecture.Next PostItalians, crafters of their own future. Thanks Francesco Morace, Barbara Santoro and everyone at the “Italian Factor” presentation in Rome.